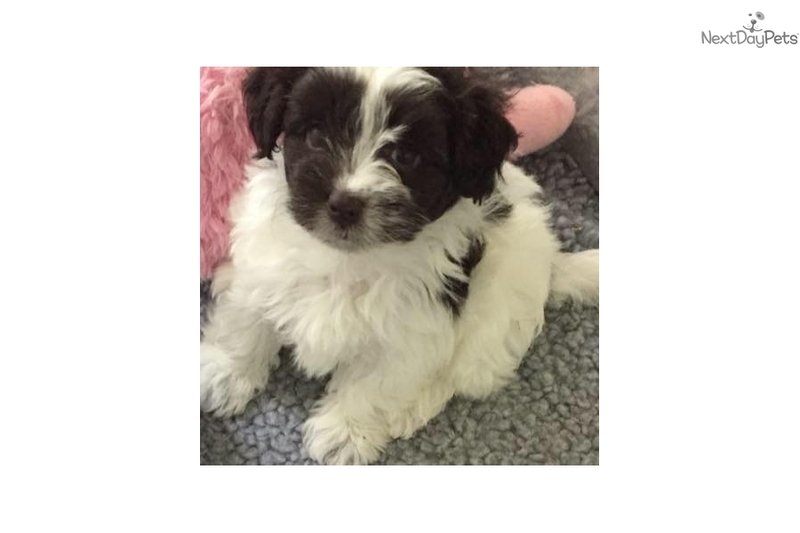 This Havanese nicknamed Daffy sold and went to a new family. Daffy,the last one to be born and what a surprise. A little chocolate parti girl like her moma. And who's mom and dad have been cleared for Eye's, Heart, and Patella's. Passed with flying colors. 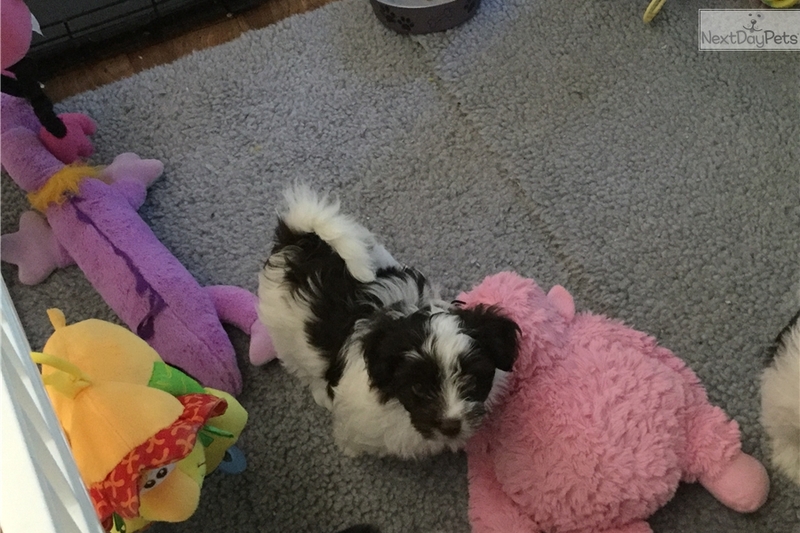 She comes with Limited AKC, Dew claws removed, regular worming schedule, up to date vaccines to ensure they are healthy before they come to you. 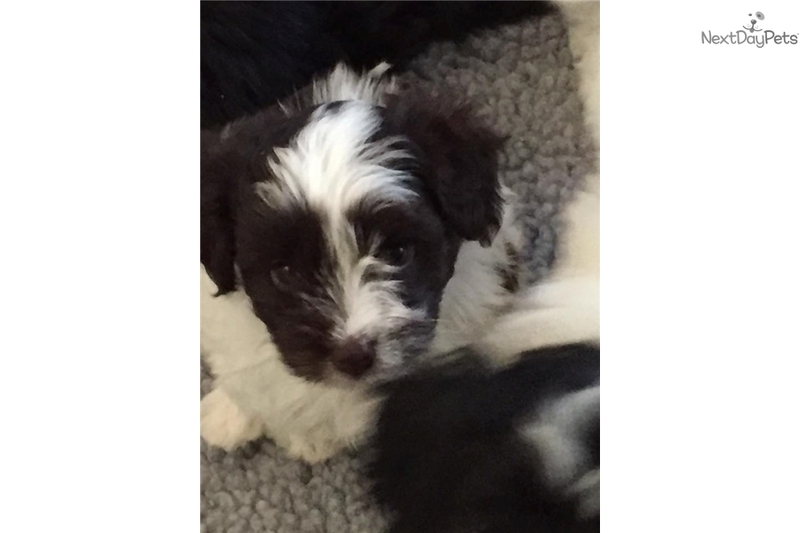 Havanese are a non-shedding hypoallergenic breed and have a wonderful personality. These baby's are raised IN my home and have lots of daily playtime, and introduced to different situations and sounds as well as walking on different floor textures, They will be started on toe nail trimming, being brushed and working on walking on a lead, using Litter, and using a crate. Puppies cannot leave before 10 weeks of age. They need time with mom to teach them some things that only mom can teach. If you are interested in one of these precious baby's please feel free to call me at 479-970-7308, or message me on face book, or email me through here. 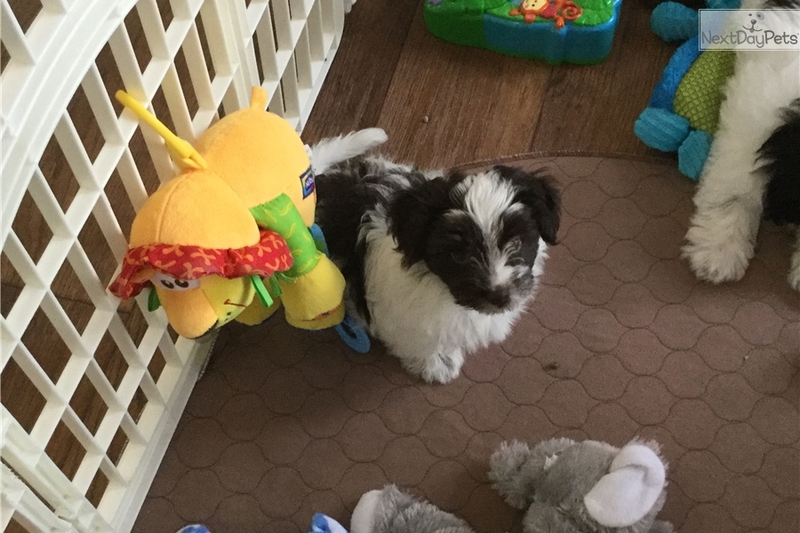 You can see these baby's on my face book Atara Havanese and watch from birth until they come to their forever home. 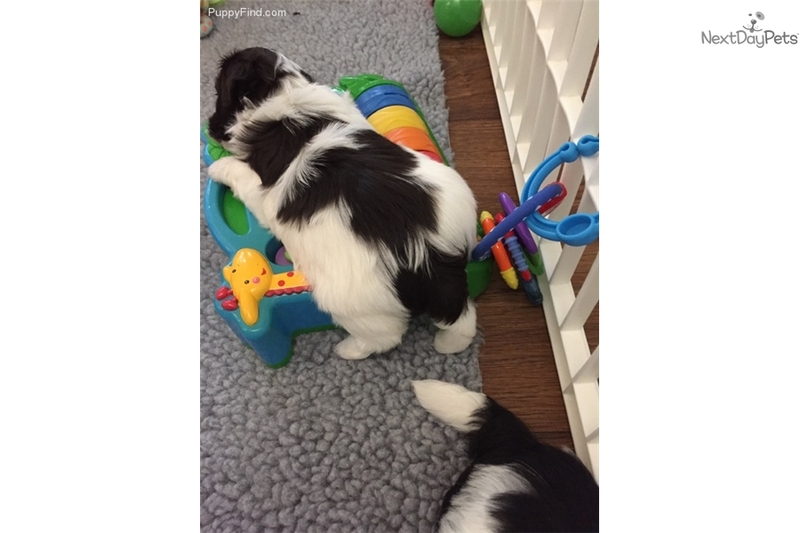 I have plenty of references from other puppy buyer's and also our vet upon request. I require a $300non refundable deposit to hold your puppy until he or she is ready to come to you. 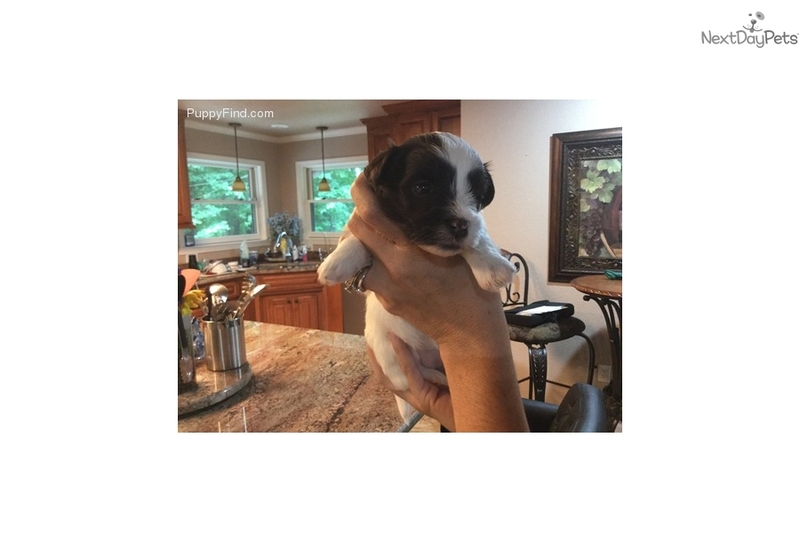 The deposit guarantees you the buyer will complete the purchase sending the balance (including shipping if needed) 10 days prior to the puppy leaving or 9 weeks of age. Shipping is extra $300. Crates and health certificates are only included if shipping your puppy. They also come with 30 days of insurance through Trupanion.